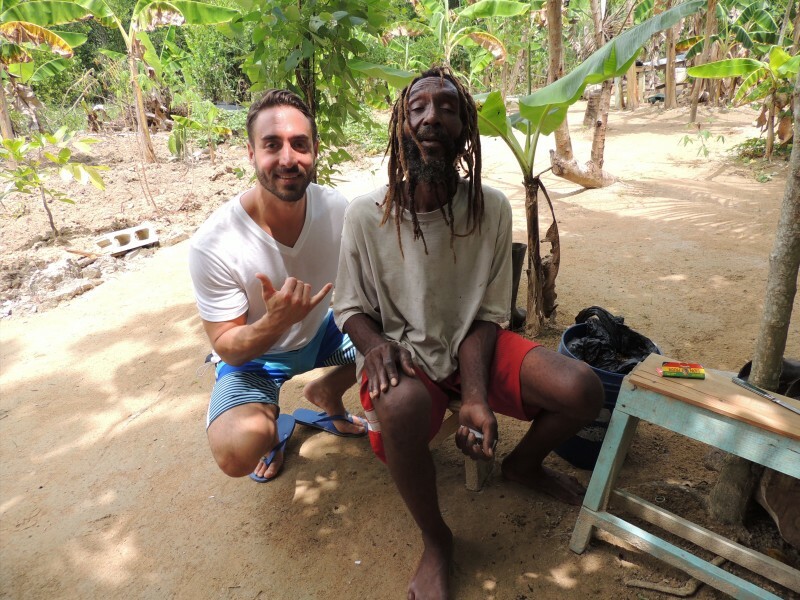 JuJu's original Countryside Tour is our most off-the-beaten-path excursion and offers travelers an inside look into the lives of Jamaican natives. Through this rare journey, we travel through the Jamaican countryside to arrive at a local coastal community. The first stop: the local fruit market where guests have the opportunity to taste exotic seasonal fruit. From there, a visit to the community's nursery and elementary schools. Guests are welcome to sit in on a lesson, play with students and donate school supplies. The Countryside Tour also gives visitors the chance to tour a local's home and stroll down a quiet fishermens' beach. Enjoy an authentic Jamaican lunch prepare as you take a dip in the ocean. End your tour with a visit to a secret swimming hole, whose property was once occupied by a local Jamaican icon. JuJu is the only tour operator offering this excursion; it's truly an unforgettable experience. For even more adventure, add The Blue Hole Mineral Spring on your way home at a discounted price. *Although not mandatory, JuJu strongly encourages guests to bring with them donations for the local schools and/or families when taking the Countryside Tour. Visit our Charity Page for a list of suggested donations and more information. For even more adventure, take this tour by bike or motorcycle! Check out the details here. Tour is available from Monday-Friday. Tour is modified for locally observed holidays and during the summer season. Pickup available from all hotels. Pickup time is 10 AM. Guest may opt to skip any of the stops. Tour can be tailored to guest's preference. Substitute visiting a local church for school visits on weekends and during the summer season. Guests should wear comfortable shoes, bring a bathing suit, towel, change of clothes, sunscreen and spending cash. 5% of all profits earned from the Countryside Tour are donated to The Good JuJu Project! unlimited refreshments en route (rum punch, Red Stripe & water) and a complimentary collection of hi-res photos. WHAT OTHER ACTIVITIES CAN I PAIR THIS TOUR WITH? Discounts offered on combination packages! ALL TOURS DONE AT OWN RISK.